A local favorite, The Virginia Living Museum, is featuring a FREE exhibit “Through the Eyes of the Eagle” for a limited time. Go fishing on the Buckroe Beach fishing pier. The pier opens April 1st and admission is $8 for adults, $6 for children. 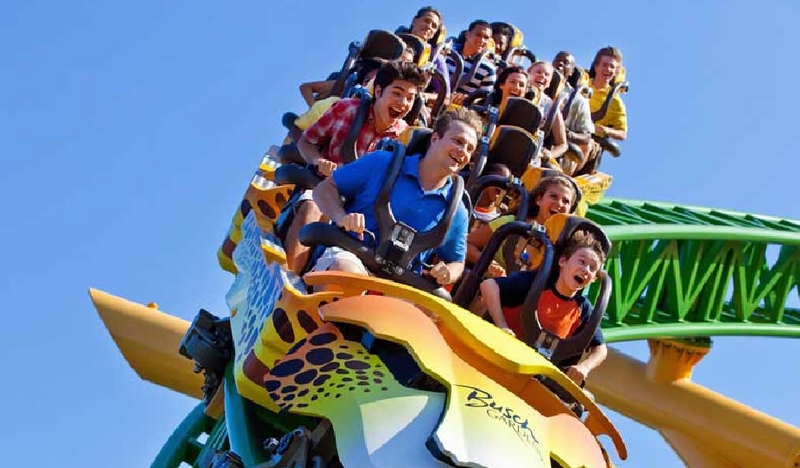 Busch Gardens opens March 17th, 2013! Look for coupons at local Wendy’s restaurants for $20 off single-day admissions tickets. Venture out to see barnyard animals at the Peninsula SPCA petting zoo. Open 11am – 5pm Monday through Friday and 10am -4pm Saturdays. Cost is $2 per adult and $1 per child (children under 2 are FREE). Old or young, don’t miss the Virginia Air and Space Center in Hampton! The IMAX is available year round but Clifford the big red dog is only available for a limited time. Admission cost is $11.50 for adults and $9.50 for children. Story time! The Barnes and Noble store located in the Peninsula Town Center in Hampton offers story time every Wednesday and Thursday at 10:30am. This is a FREE event and usually includes a craft and treat. Cinema Cafe movie theater offers discounted tickets ($3.50!) every Wednesday. Catch the Tinker toy “Build Your Imagination” exhibit at the Children’s Museum of Virginia in Portsmouth. Available until May 12, 2013. Cost is $11 for adults/$10 for children. Another opportunity to get up and close with live animals is at Bluebird Gap Farm. The FREE facility includes lots of animal adventures and a newly renovated playground. Check out Rebounderz in Newport News! Rebounderz is a trampoline facility designed for older children. Features include basketball slam activities, trampolines with angled sides, and jumping dodge ball. Open every day but Mondays from 4:30pm – 11pm and costs $15 for the first hour, $12 for subsequent hours. So whether you’re looking for Hampton Roads spring break activities for the young or the old, these recommendations should get you started! What are your plans for spring break in Virginia’s Hampton Roads? Hampton Roads Realestatement is written by Alyssa Godwin, a Realtor with Liz Moore and Associates. For questions regarding buying or selling contact Alyssa at 757-329-6161 or alyssagodwin@lizmoore.com. You can also find Alyssa on Facebook or on the web at www.lizmoore.com/alyssagodwin. « The Power of Staging	» Do I Need Flood Insurance?